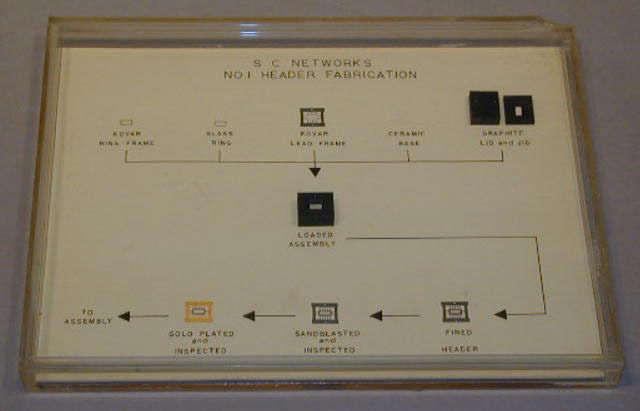 Displays step by step fabrication of the first 1/4in x 1/8in IC flatpack header design. The final seal for this package was made by solder sealed kovar lid. The ceramic base, ring frame and lead frame were sealed together with glass frit. This design was used in the 1959-62 time period. Related material in collection: G00031.